The holiday season is ramping up, and we are ready to make sure you and your precious friends and family get to the airport on time safely, in comfort and with the service reliability backed by 25 years of service. We look forward to serving you. Call today, 817-688-3536. We are a trusted provider of transportation services and have been serving the Greater Fort Worth Area since 1991. We provide corporate, personal and airport executive car and taxi services to and from the DFW Airport, Love Field and various other commercial and private airports. Areas we service include Ft Worth, Burleson, Forest Hill, Keller, Hurst, White Settlement, Azle, Weatherford and Surrounding DFW areas and the TCU Campus. In fact, we are one of the preferred providers for transporting TCU students to and from DFW area airports. Just read our review for yourself, or read it on Yelp! We offer Executive Car, Airport Taxi and Airport Shuttle services at excellent rates. Experience Executive Car Service at Taxi Service Rates, ask for a quote. Our drivers are on time, reliable and our service quality has been trusted for 25 years. Why would you choose anyone else? For airport arrivals, we monitor gate and flight times for you to ensure we are there to pick you up when you arrive. When you book with us and provide your flight information, you no longer have to wait for someone to pick you up. We will be there waiting at the door convenient for you. For airport departures, we anticipate traffic, location and departure gates and times to ensure you are delivered to your airport entrance on time for your travel type. We understand the differences in departure times for international travel, vs. US based travel or business day to day travelers without baggage checks. 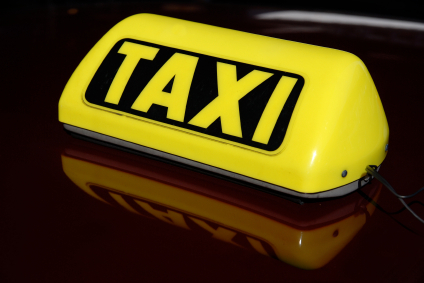 Choose Fort Worth Airport Taxi and get there on time every time with less stress and frustration. I was desperate to find a ride for my TCU daughter to the airport. I found Rick on Yelp and drilled him because He was a stranger- taking my 19 year old to the airport. We have now used him several times and I cannot say enough great things about him. He is wonderful. I have used Rick and his group since 2000 to transport me and my family. I am super picky about the cars I ride in. He is always on time, friendly, and the cars are new, nice and clean and most of all he is safe. Over the years I have enjoyed getting to know him and his team. Check him out - I highly recommend him. We are experienced in servicing Corporate Travel Accounts. Services include but are not limited to General Transportation, Executive Car Service, Select Courier Services, Entertainment and Event Travel Services and for approved Corporate Accounts we offer Invoicing. We are a known and reliable provider in the Corporate Travel Services are. Serving the Greater DFW Area and airports since 1991. We serve all major airports in the DFW area. We are on time 24//7 and offer exceptional service. Call today! Providing Executive Car Services since 1991. We are a veteran of exceptional service in the Greater Ft. Worth Area. We offer luxury transportation and chauffeured services.